We blogged earlier this year about some work we were doing with HMRC to trial a new GOV.UK Verify product - basic identity accounts. Basic identity accounts don't verify the identity of the user, but they do give the user a secure login credential to assure that it's the same person logging in each time. The aim of the trial was to investigate whether basic identity accounts could help people whose identity couldn’t be fully verified using GOV.UK Verify, or who were accessing services that don’t require their identity to be verified to the level of assurance provided by GOV.UK Verify verified identity accounts. The trial ran for just over 4 weeks. During that time we trialled basic identity accounts with the renew your tax credits public beta service and marriage allowance private beta service. We’ve now concluded the trial and we’re analysing the results - including feedback from users - to help us decide whether we will continue to offer basic identity accounts in future and if so in what format and for what purposes. We’re looking at a range of options for basic identity accounts in future, ranging from not offering them at all to offering them as a specific service (rather than as a route for those who can’t be verified to a sufficient level for a verified account). We’ll blog again once we’ve completed our analysis. Anyone who wants to renew their tax credits or apply for marriage allowance online can do so by going directly to those services. 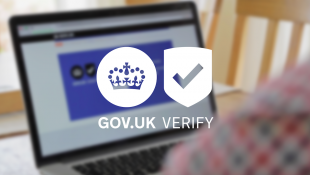 We’re grateful to everyone who participated in the trial and provided feedback on the service - we’ve learned a lot that will help us as we continue to develop GOV.UK Verify from beta to live and implement it across a range of government services - about 30 by April 2016.